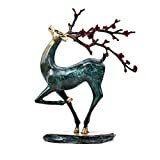 Complete your outdoor holiday decor with a satisfying look of approval from this cool new Majestic Copper Deer Statue. 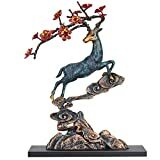 This festive deer statue proudly stands ready to lead the herd with its antlered head looking up and chest puffed out and is perfect for placing outdoors or even indoors as well. 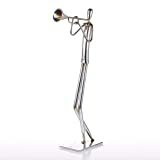 While it's not actually made from solid copper, it is sculpted from durable, high quality copper penny-colored resin. 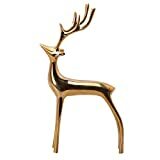 There is also a matching sitting buck available.